Ajay Devgn's tenth collaboration with Rohit Shetty turned out to be a lucky deal for both. Rohit Shetty's Golmaal Again has toppled over the Rs 200 crore mark at the box office with its total collections being Rs 201.43 crore and counting, tweeted trade analyst Taran Adarsh. 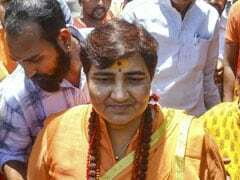 Ajay Devgn's film continued to deliver in its fourth weekend even with reduced number of screens and shows across country, Mr Adarsh added. Tweeting on Monday, he wrote: "And it's a DOUBLE CENTURY... Golmaal Again crosses Rs 200 cr... Remains STRONG in Weekend 4, despite new releases and reduced screen space/shows... [Week 4] Fri 62 lakhs, Sat 1.16 cr, Sun 1.69 cr. Total: Rs 201.43 cr. India biz... BLOCKBUSTER!" Golmaal Again is the fourth in the Golmaal franchise of films. Golmaal Again is that extra bit special for Ajay Devgn because it marks his first 200 crore movie while for Rohit Shetty, it's his second. "The Ajay Devgn - Rohit Shetty combo has tasted success yet again... Golmaal Again is Ajay's first Rs 200 cr grosser and director Rohit's second," tweeted Mr Adarsh. Releasing on Diwali, all Golmaal Again required to score the 100 crore bounty was just four days at the theatres. It opened to a blockbuster opening score of Rs 30 crores. The Golmaal series of films debuted in 2006 with Golmaal and has had entries like Golmaal Returns (2008) and Golmaal 3 to the franchise. 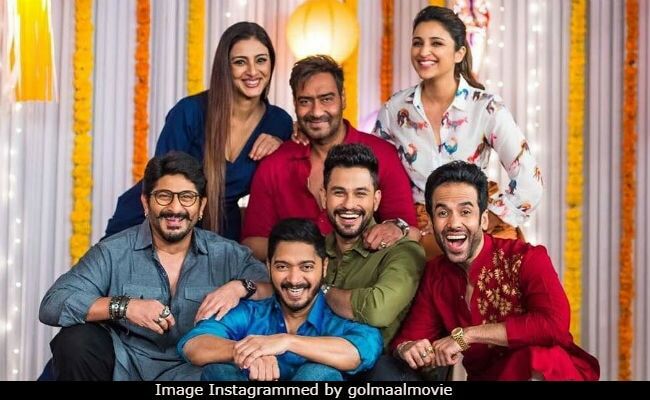 The Golmaal series regulars - Ajay Devgn, Arshad Warsi, Tusshar Kapoor and Kunal Kemmu - were joined by Parineeti Chopra and Tabu for the fourth one.